Hundreds of pounds have been stolen from elderly residents in the latest door-knocking scam to hit West Sussex. 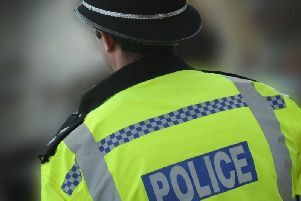 Police have issued a warning following incidents at homes in Pagham, Arundel and Cowfold where fraudsters have knocked on doors pretended to be from the water board. Officers said two men called at properties and entered as owners were distracted in the kitchen, stealing a total of £600. All the incidents happened with six hours of each other on Tuesday April 25. Police said at 2pm a woman in Mill Park Road, in Pagham, answered the door to the callers and invited them in. They entered and stole £250. Nearly an hour later callers targeted a property in Canada Road, in Arundel, where £350 was taken. Two men knocked on the door of a home in Fairfield Cottages, in Cowfold, at about 8pm but the owner shut the door on them and they left empty-handed. Tom Carpenter of the West Sussex Community Investigation Team said; “In each case two men called at the victims’ homes, saying they were dealing with a water leak at a neighbouring property. In two of the cases they were able to come in and whilst the victims were distracted in the kitchen, cash was stolen from their homes. - If you’re not sure who is at your door, don’t open it. Check the identity of the caller by calling the company they are purporting to be from i.e. gas, electricity, water, police. - Use the telephone numbers listed in your local directory or provided independently by your service provider. Do not use any telephone numbers provided by the caller they may be bogus. - Telephone a neighbour or friend nearby to come along and check out the caller before you open the door to them. Some areas have nominated neighbour schemes you can sign up to. Check with your local police to find out if there is one in your area. - Many service providers provide password schemes, sign up to these. When unannounced callers knock at your door they should know the password if they are genuine. - The “Waterboard” no longer exists, it is an obsolete phrase used only by bogus callers. - Don’t keep large quantities of cash at home; put it in the bank where it is safe. - Keep doors locked and windows secure at all times. - Ensure that if you do let somebody in to your home, that you close the door behind them - distraction burglars often work in teams, where one will distract you whilst others sneak in through the insecure door. - If somebody asks for your help - needs to make a telephone call, lost a ball in your garden, needs a drink or pen and paper for example, refer them to another neighbour or assist them through a closed door. Alternatively, call a friend or neighbour to come and assist. · Not sure? Don’t open the door! He added: “On the same day a group of men were seen calling at addresses in the vicinity of the Pagham offence, offering gardening services. Police are keen to trace these men as they may have information of importance to the investigation. “If you know their identity, or have been visited by similar people in the last few days, or have any other information, please contact us online or by calling 101, quoting serial 634 of 25/04.